Google Analytics is one of, if not the most, important tools for measuring website analytics. 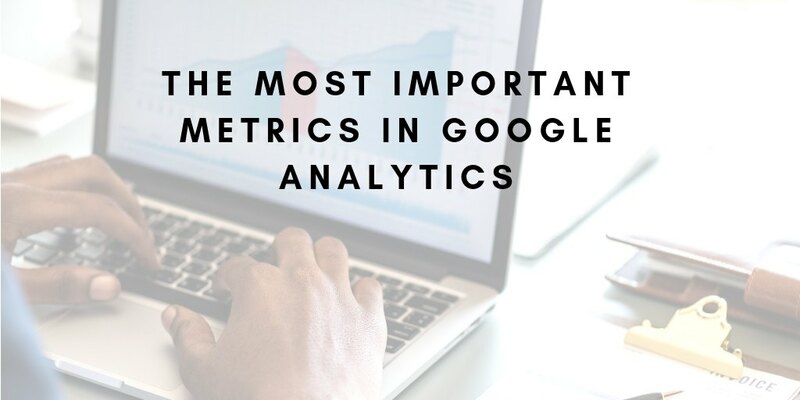 Whether you work in search engine marketing or email advertising, whether you own a company website or a blog, Google Analytics is crucial to understanding the quantity and quality of your web traffic. Google Analytics is a reporting platform offered by Google. It tracks the number of visitors your website receives, how many contact forms get filled out on your website, how long on average people stay on your website, etc… all in real time. You install code on your website which allows Google Analytics to start tracking metrics. Once installed, you can access all current and historical data. The platform tracks a plethora of metrics. The vast amount of data available in Google Analytics can come off as overwhelming, but knowing how to navigate the tool can lead to actionable insights on how to improve your website. Google Analytics allows you to view the number of visitors your website receives each day. Did you notice a loss in traffic the same day you made an update to your website? Or, did you receive a traffic surge after your brand was mentioned in an industry blog? Analyzing your traffic trends can reveal valuable insights. Direct: Sometimes referred to as “(none),” these are the visitors that enter your website’s URL directly into their browser. Organic: These are visitors that come to your site by clicking on your links in the organic search listing of search engine results pages like Google and Bing. CPC: These visitors come to your site by clicking on a paid advertisement in a search engine results page. If you have no paid advertisements running, you won’t see any traffic come from this medium. Referral: These visitors come to your website by clicking on a link from another website. Let’s say and industry blog publishes an article about your company with a link to your website and someone clicks on that link – this would be counted as a referral visit. Are you noticing that you are losing website traffic in one medium but gaining in another? Does one medium comprise the vast majority of your website traffic? You can find deeper level insights by analyzing traffic sources as well. Where traffic mediums will combine all referral traffic into one category, organic traffic into another, etc… traffic sources break out the specific source visitors use to access your website. Is most of your referral traffic coming from social media sites or business directory listings? Are you seeing a lot of organic traffic coming from Google but hardly anything from Bing? Evaluating your traffic sources and mediums can uncover these types of insights. Google Analytics also breaks out traffic by device, browser, and operating system. Do you notice that your website traffic is almost all desktop users while hardly any visitors use a mobile device? This could be an insight that your website is not mobile friendly. Bounce Rate: This measures the percentage of users that visited one page of your website and left without interacting further (clicking any links, submitting contact forms, visiting other pages, etc…). Average Session Duration: This measures the average amount of time users spend on your website. The longer the session duration, the more interactions you can expect your traffic to be making with your website. Pages Per Session: This measures how many pages, on average, your users click through to during each visit. Are you seeing high bounce rates on specific pages of your website? Or a low average session duration from organic visitors? These types of insights could inform a poor user experience, or specific pages that can be enhanced. Engagement metrics also give insight into how qualified your visitors are. If your website has low engagement, perhaps you need to re-think the market you are trying to reach. Conversions are typically considered the most important metric for businesses. Google Analytics allows users to set ‘goals,’ which are typically set to contact forms, phone calls, any particular web pages you want users to visit, and more. When analyzing conversion metrics, you can view how many goal completions took place on a specific page, goal completions by traffic medium & source, goal completions by date, and more to attain deeper level insights. Analyzing the trends behind your website’s goal completions are crucial for understanding how well your site is generating leads. Digging in to this data can highlight actions you can take to convert more of your web traffic into sales leads. For example, if you run an Ecommerce website and no goal completions are taking place on one of your product pages, perhaps the order form on that page has not been coded correctly. If none of your paid advertising traffic is converting, maybe you need to adjust your audience targeting. The subjects we’ve covered here only scratch the surface on Google Analytics’ depth. With so much data available on your web traffic and overall site performance, this platform is a requirement for any digital marketing campaign to be effective. Of course, the tool is usually seen as complicated and overwhelming. Experienced professionals are best when it comes to interpreting and reacting to the data from Google Analytics. Contact us to learn how we can turn your Google Analytics metrics into actionable insights to enhance your website’s inbound lead generation.